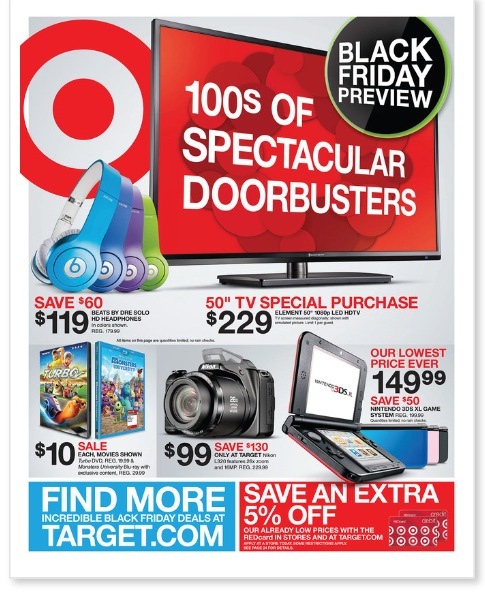 Target Black Friday Ad is here! | ...and another cup of coffee. Target Black Friday Ad is here! To all my Super Saver friends out there the Target Black Friday Ad is here!! They also already have the Black Friday Store Map available to show where all the HOT items will be placed throughout the store, view it here. « Buy 1 Get 1 Holiday Drinks at Starbucks!